natural beauty Michigan offers while featuring an array of modern luxuries, a great school system, and beautiful houses that retain their value due to a well maintained city. Those who are considering moving in the area or to the beautiful state of Michigan should consider the convenient suburb in Livonia called Windridge Village. This web page dedicated to Windridge Village information was written by local Livonia real estate specialist Bob Jakowinicz. 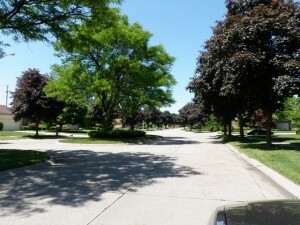 In the north western part of Livonia, Michigan lies the stunning Windridge Village community. This subdivision of Livonia is comprised of around five hundred houses that are proudly maintained by respectable home owners. As you turn into Windridge Village drive down the smoothly paved roads within this subdivision, you’ll be amazed at the immaculate lawns, the beautiful homes, and the overall cleanliness that simply is not found in many areas. is completely different than the neighboring houses. Another comforting feature of Windridge Village is the beauty you see as you drive within it. Instead, you’ll find well lit curvy roads, watchful neighbors, and a close knit community of families that truly look out for each other. Just take a quick look at the pictures and you will notice the tremendous pride of ownership that is apparent by the local residents. Living in a city does have some benefits including that you are close to shopping, hospitals, schools, and more; however living in the city also has many disadvantages. Higher crime rates, constantly decreasing home values, and the constant noise of cars and people are just a few of the downsides that city living features. Fortunately Windridge Village offers the best of both worlds. It’s conveniently close to the expressway meaning that you can head to Detroit, Windsor, Ann Arbor or even south into Ohio with ease. Despite being within the city limits of Livonia, you’ll find that the residents of Windridge Village are privy to all of the amenities of the city and yet enjoy a quiet and safe living area. 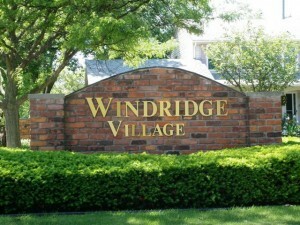 Within just a few minutes of Windridge Village are all of the amenities within Livonia. The Livonia Library is an expansive library outfitted with the latest technology. Find ample computers for public use, a wide range of books and movies to rent, and a very helpful staff able to assist you. Livonia Recreation Center – the Livonia Recreation Center is an amazing place for both adults and teens to go. There are a number of educational events and community events held there and there are also pools, a climbing wall, a kids quarter, physical therapy sessions, and more!Shopping – close to Windridge Village are two different malls; Twelve Oaks Mall and the Laurel Park Place Mall. Laurel Park Place is approximately 5 minutes away while Twelve Oaks is approximately 15 minutes. Health care – St Mary Mercy Hospital and Botsford Hospital are both just a few minutes away. These hospitals are also an ideal place of employment for those in a variety of fields, and features a lot of community programs, medical units, and more!